Choose a Search Category from the drop-down menu in STEP 1 and then a Search Type in STEP 2. Click on the Click Here for information About Search Type link before you enter a Search Term in STEP 3. The Web contains the world's information. But do you know how to access it? How to brainstorm more than ten ways? Would you like to know who's linking to any one of your site's pages — or to the competition? If you do not know how to "deep-tap" the Web's information, you're losing an opportunity to gain an edge on the competition. Few people, even seasoned veterans, would know about many of the searches in Search It!. Search It! is Solo Build It! 's "Swiss Army knife" for solopreneurs. Use over 100 advanced searches to power-search your way to e-business profitability. Quickly access information and resources related to the growing of an online business, whether your business is in the planning, developing or mature phase. Many of its searches are complex and advanced. Others are from little-known resources. Some even pull info from places like Amazon or eBay with surprisingly rewarding results. Regardless of the search, though, you just point-and-click. Brainstorm new topics for your site. Deepen research on your competition. Get your domain naming, trademarks and other legalities right. Research material for your content pages, the engine of C T P M.
Find original new inbound link opportunities. Identify new ways to monetize your site. Step 3: Enter any domain and then click to find loads of info about the inbound links to that domain. There are more than 100 valuable searches in Search It!. See how the 3-Step process enables you to speedily drill down to the exact search you need? Each Search Type has its own (optional) tutorial to help you understand and get the most out of each search. It really does convert you into a solopreneur power-searcher! Search It! is just one of Solo Build It! 's many tools. 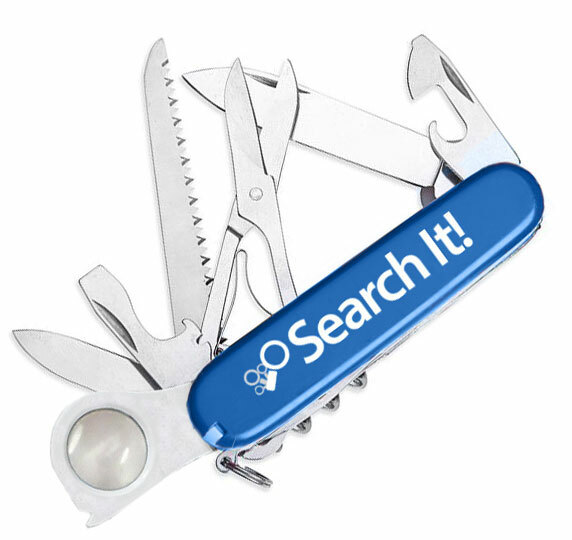 It's the only search tool with every e-business-related search that you will ever need, all in one place. With a few mouse clicks, Search It! gives you access to 100+ e-business searches that gather the golden nuggets from around the Web. Use it, along with the 80+ other Solo Build It! (SBI!) modules, to build a thriving, profitable e-business. Solo Build It! 's Money-Back Guarantee puts all of the risk on us. Try it for 90 days and put it to the full test. Experience what thousands of Solo Build It! members have already discovered to help them build a profitable e-business. Start today with your risk-free trial with Solo Build It!.